Materialism is a system of thought, or a philosophical doctrine that explains that matter is the only and the final reality and that everything in the world, including thought, will, and feeling, can be understood only in terms of matter. In common usage, Materialism is described as the concern with physical and personal desires rather than with ‘spiritual’ or intellectual goals and moral values. A materialist is defined as a person who believes in the satisfaction or attainment of his materialistic goals such as acquisition of material wealth, social status, social recognition, and sensual pleasures. Thus Materialism could be viewed as a philosophical theory that maintains that all events, acts, and states of affairs are either subordinate or may be completely reduced to material objects and their interrelationships. We need a methodology to study philosophy and to understand philosophical statements. Logical Positivism, also known as Scientific Empiricism aims to clarify concepts in both everyday and scientific language. It describes analysis of language as the function of philosophy. This analysis of language and of concepts is important to understand questions of belief and ideology which affect what we think we ought to do individually and socially. I would use this method of ‘Applied Philosophy’ to analyze the philosophical doctrine of ‘Dialectical Materialism’ and to study the views and philosophy of Karl Marx and his efforts to interpret human nature and human existence. Spiritualism and Materialism : Karl Heinrich Marx, 1818-83, German social philosopher, founder of Socialism, Marxism, and Communism. 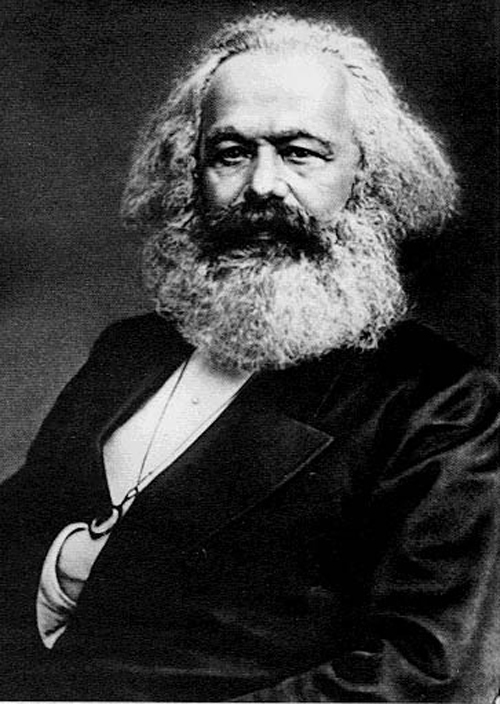 I want to suggest that Karl Marx lived in the physical or material world as his matter or corporeal substance is of spiritual nature giving him the ability to exploit natural, material resources to synthesize his own bodily substance and matter and to benefit from the labor or efforts of his own body's work. He lived because of internal Peace, Harmony, and Tranquility and because of the absence of Struggle or Competition between the cells, tissues, and organ systems of his body which always work together with a spirit of cooperation and mutual subservience to establish the essence and existence of man as a human being. In Logic, dialectic refers to a process of critical reasoning. It is the art of examining opinions and ideas logically, often by the method of question and answer, so as to determine validity. It is based on the principle that an idea, event, or thing that exists(thesis) generates its opposite(antithesis); the interaction of thesis and antithesis is ultimately reconciled(synthesis) which after the reconciliation becomes the new thesis. Dialectical Materialism is a synthesis of Materialism and the Dialectic developed by G. W. F. Hegel. It is materialist in that it denies transcendence and affirms the ultimate reality of the physical world, beyond which nothing exists. Hegel was primarily concerned with the relationship between the mind, the brain, and behavior and Dialectic represented a process in a rational and spiritual reality. Karl Marx rejected Hegel’s ideals but used his assumptions and applied Dialectic to analyze and explain human actions that are motivated by the material, particularly the economic circumstances of the individual and interpreted human history as the interaction of economic forces. Karl Marx believed that the universe exists without anybody behind or beyond it, and is fundamentally material in nature with everything determined by the scientific laws of Nature. Marx referred to the determinative role of material conditions on the intellectual, social, and political development of humanity. Marx analyzed the social and economic relations in which people earn their livings. He was primarily concerned with Capitalism. He divided human society into two groups or classes; 1. the Capitalists own all the productive resources; and 2. the Proletariat or the workers who must work for wages in order to survive. According to Marx, the interactions between these two groups or classes made up the whole history of human society and the past and future development of present phenomena affecting the social conditions and behavior called “class struggle”. As per Marx’s theory, man is alienated from himself, and his own true nature. The ways and conditions in which man earns his living affects his body, mind, and daily life. The worker is alienated from his productive activity, playing no part in deciding what to do or how to do it, and the worker is also alienated from the product of that activity. The worker is alienated from other human beings, with competition and mutual indifference replacing most forms of cooperation. The worker is alienated from the distinctive potential inherent in the notion of human being. This alienation causes man to become physically weak, mentally confused, isolated and virtually powerless. Marx believed that workers would become “class conscious”. His final goal was that of abolishing man’s alienation by the attainment of Communism through the struggle between the Capitalist Class and the Working Class. Spiritualism and Materialism: The Theory of Spiritualism describes Spiritualism as the Potency that brings the essence and existence of man to come together to establish the reality of man's biological existence in the physical, material realm. 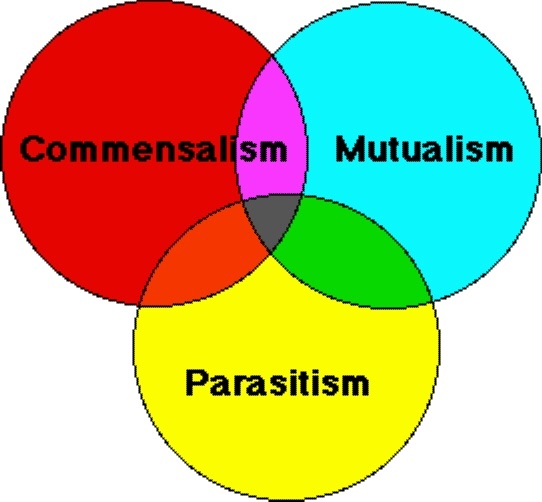 It requires an understanding of Biotic interactions, the interactions within the individual organism, among members of the same species and among members of different species of organisms. What it is to be a Substance? and What it is to Exist? We need to establish knowledge about man on a firm basis and the information it provides must be tested for its accuracy and consistency with external reality. We have to make the fundamental distinction between living and non-living matter. The scientific advances of the 19th and 20th centuries reinforced the materialistic position concerning the basic similarity of organic living and inorganic physical matter. Man is viewed as a product of natural evolution and is thought to be subject to the same laws of Physics and Chemistry or mechanistic principles. Communism may have failed but many people believe that the real nature of man is the totality of his social relations. Just like Marx, several others deny the existence of God and hold that each individual is a product of the human society he lives in. Unlike Marx and others, I view man as a multicellular organism and try to know the human subject who subjectively and objectively exists because of the living functions of the cells, tissues and organ systems that provide the biological basis for that existence. Man is an association of trillions of living cells which function together displaying characteristics such as mutual cooperation, mutual assistance, mutual tolerance, and mutual functional subordination to provide benefit for the living and the reproductive success of the human person who is supported by these functions. There is no “class struggle” and there is no “competition” and man exists in nature by performing living functions for his own benefit. All of these varied living functions are dependent upon the biological nature, properties, and characteristics of the living matter known as Protoplasm which is in its essence is Conscious and is Intelligent. It has the ability to exploit the laws of Physics and Chemistry and use matter from its environment for the material benefit of the Conscious, Intelligent, Living Entity. Man’s true or real nature operates to provide internal stability and constancy of the conditions of the ‘inner environment'(Milieu Interieur), and these vital homeostatic mechanisms result in Peace, Harmony, and Tranquility that is the fundamental basis for human existence. Man, the Spiritual Being is known from the true or real nature of his biological existence seeking Peace, harmony, and Tranquility within himself and with others in his environment and community. Pingback: SPIRITUALISM – THE MEDICAL DOCTRINE OF DIALECTICAL SPIRITUALISM | Bhavanajagat. 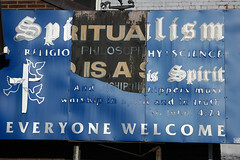 Pingback: SPIRITUALISM – THE BIOLOGICAL BASIS OF SPIRITUALITY | Bhavanajagat. Pingback: SPIRITUALISM – THE SCIENCE OF MATTER-ENERGY-LIFE-AND-SPIRITUALITY | Bhavanajagat. Pingback: SPIRITUALISM – THE UNCHANGING SPIRITUAL NATURE IN CHANGING WORLD | Bhavanajagat. We should firstly become aware about Objectivity as well as Subjectivity. All Pervasive Intangibility Of Eternal Pure Consciousness is our inner Substratum. Objectivity & Godhood are two sides of the same coin.When one side of Objectivity gets reversed with the inward withdrawal of our 5 senses, then the other side is simply Godhood . Now Science is the Observation Post of objective compartmentalisation over the All Pervasive Eternity of Pure Consciousness. Now Vital Force manifestation from bacteria to man continued along [Eating,Sleeping,,Mating, birth / death cycle], undeterred upto man.Now liberation from this manifestation cycle is possible only for man.But he should necessarily break the components of this eternal sustenance of rebirth cycle ! Here, his own sincerest self efforts towards happening of 100 % CELIBACY is the only way. In this context, The Mystical Kundalini Awakening becomes meaningful . This is Subtle .So could be viewed only from a subjective perspective. Objective approach won’t help us to proceed further beyond this stage of no Ego Zone of Non Dual Truth,I am Pure Consciousness. Thank you Shri Suresh Sukumaran for visiting my blog post. Apparently, you shared a comment without even reading my post. There is no mysticism. There is no awakening if you express an opinion without examining the contents of the subject matter. Kindly explain as to what is pure about pure consciousness. What contents of consciousness are considered pure?